Fox Lane Dental Care is committed to protecting your privacy and complying with all aspects of the General Data Protection Regulations (effective from 25thMay 2018). When contacting us, you may be asked to provide information by which you can be identified, but you it will only be used in accordance with this privacy statement and the GDPR. We use your information to understand your needs, provide you with personal dental health care services, and to keep our records up to date and accurate. From time to time we may also use your data or pass your data on to 3rdparties such as laboratories, specialists, the NHS BSA to contact you by email or phone, for the purposes of your care, our remuneration or for satisfaction survey and NHS service regulation purposes. This will always be provided in compliance with the regulations and with your ongoing consent. To ensure your details remain secure and to prevent unauthorised access or disclosure, we have procedures in place to protect the information we collect online and in the practice.. We will not sell distribute or lease your personal information to third parties unless we have your permission or are required by law to do so. Our staff receives constant training in dealing safely and confidentially with your data. You have the right to view, restrict, correct, delete and alter your data that we collect. We also will always inform you of your rights to your data under the GDPR. The Data Controller is Dr Kyri Falekkos. This Privacy Notice is also available at reception, in printed form and by email if you contact patientcare@foxllanedentalcare.co.uk or by calling 02088860325. • Personal data is stored in digital or hard copy. • Personal data is obtained when a patient joins the practice, when a patient is referred to the practice. • If you are not a patient of the practice you have the right to withdraw consent for processing personal data, to have a free copy of it within one month, to correct errors in it or to ask us to delete it. You can also withdraw consent from communication methods such as telephone, email or text message. 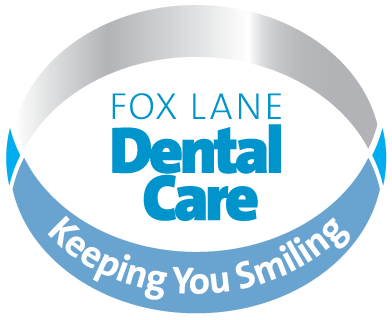 Fox Lane Dental Care, 12 Fox Lane, London, N13 4AH. If you are unhappy with our response or if you need any advice you should contact the Information Commissioner’s Office (ICO). Their telephone number is 0303 123 1113, you can also chat online with an advisor. The ICO can investigate your claim and take action against anyone who’s misused personal data . You can also visit their website for information on how to make a data protection complaint.